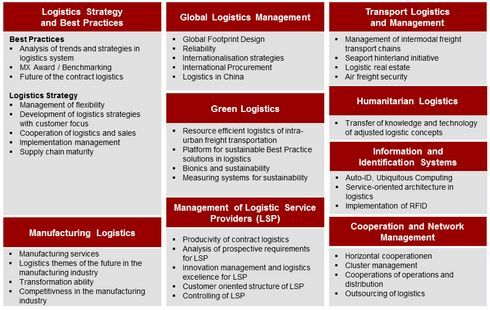 The chair of logistics is concerned with the research of logistic networks in a holistic and customer integrating framework. This approach leads to a wide spectrum of topics, which include different areas such as business administration and management, engineering and information technology. 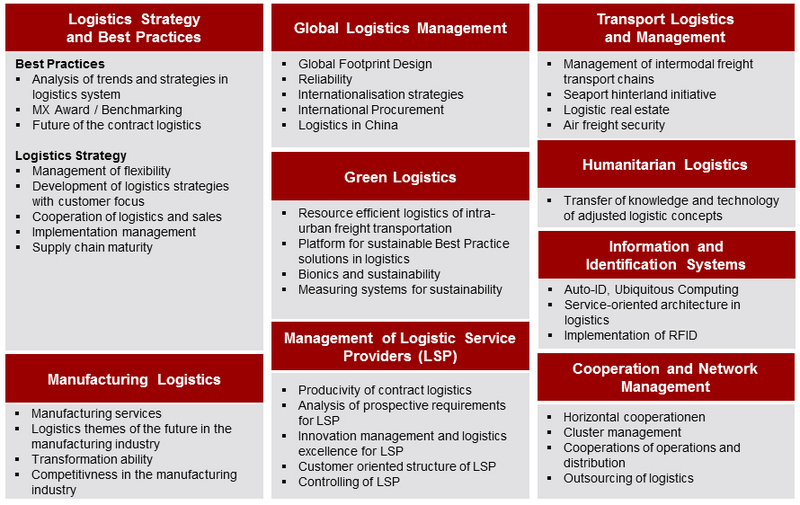 The diversity of management and engineering questions is clustered in central research fields, in which several departments and research groups work together as a focused network. In addition to focusing on core competencies and individual highlights, the integrated research of the departments is developing a unique and holistic research portfolio. This results in the enlargement of the scientific knowledge, whose insights are numerously published in high-quality journals and studies.